What is more important to you? A healthy Environment, or a new Water Slide at one of OUR State Parks? Diverse Habitats through out OUR State Parks, or still even more Interconnected, Linear BIKE Pathways? 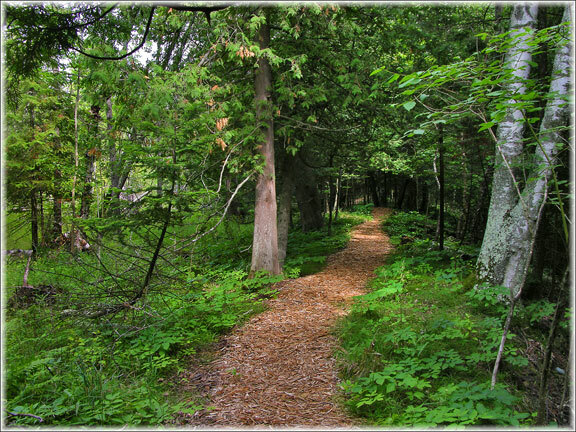 (now being called Trails) A wide range of various Natural Resources interacting with one another to keep all of OUR State Parks, healthy and working naturally the way it should work on it’s own? Or OUR money being spent on resurfacing Tennis courts in small, obscure Towns along the new BIKE Pathway system? No matter how you may feel about these things, there is only one answer for all of it. The focus needs to return to having a Healthy Natural Resources base, through out OUR State. WHY? 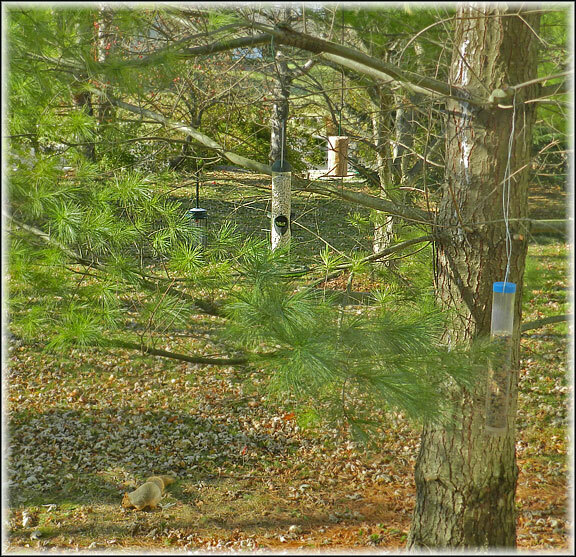 Because everything else will fail without this base foundation of a healthy ecosystem, everywhere in OUR State Parks. You cannot build another Linear BIKE Pathway, if the environment it passes through is a Monoculture (plants & Trees that are primarily Invasive species, and almost NO natural interacting plants & Trees) A new Water Slide installed into a Lake that is full of more Invasive Species, with the only fish being those that are dumped into that Lake annually by OUR Department of Natural Resources. That is just about as Plastic and surreal as it gets. Really now……ask yourself those questions. It all boils down to a solid and healthy foundation. Just like almost everything else in the world. Just like a Structure of any sort. You MUST have a solid foundation to build on, or else at some point in time it will all come crumbling down. 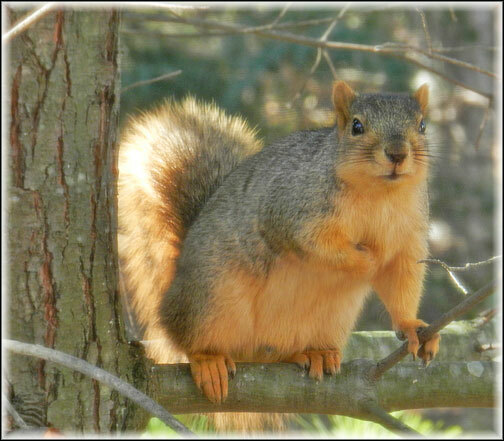 Do we have our Invasive Species under control in our beautiful Michigan? Do we have the various diseases and ill health problems that plague our Trees, Waterways and diverse Habitats, under control? Or are we just cutting sick Trees down, selling the Timber and calling the problems fixed? That is how OUR DNR now deals with Tree problems and Tree deseases. Pitiful Natural resources management. One of the biggest CONS being perpetrated on us Michiganders is the Volunteer Game. 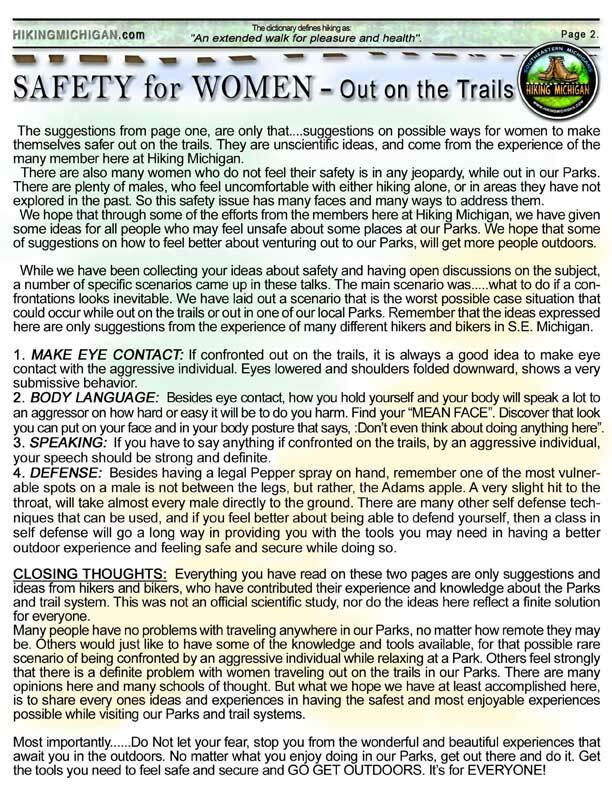 Organizing Michigan’s best Volunteers to remove Invasive Species, without telling any of them that what they are accomplishing is next to NOTHING. because the Invasive Species problem is so enormous, that just having Volunteers doing the work and not having an entire department at OUR DNR dedicated to constant Invasive Species removal and control, has very little effect on the problem as a whole. 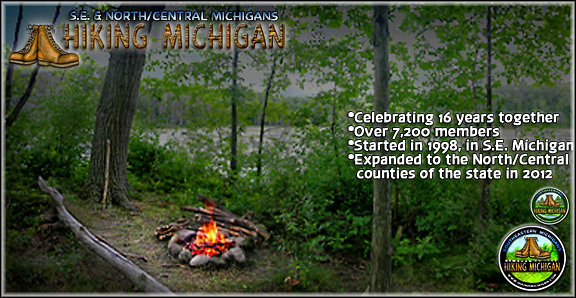 Yet most of the work is being performed for Free, by the wonderful Volunteers….Michigan residents, and not OUR DNR. These are not MY personal opinions. Nor are they exactly what I would like to see done. But they are what MUST BE DONE, and NOW…..in a very BIG WAY. Sometimes it just doesn’t matter what you or I may want. It is up to what is NEEDED. 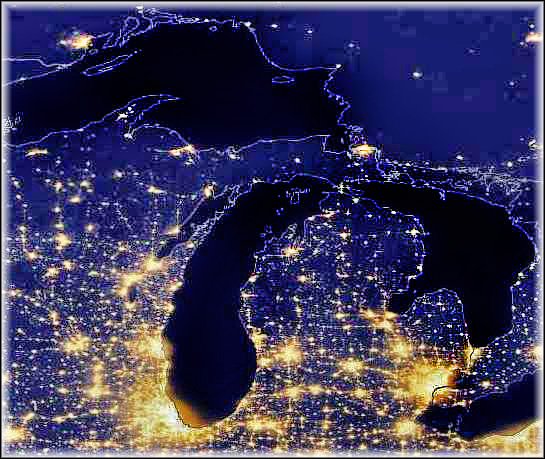 OUR Michigan Environments NEED our dedicated HELP, RIGHT NOW. Noy just the ghreat Volunteers that maontain most of thye Foot Trails, or the Volunteers and Scoputs who remove the majority of Invasive Species, all while OUR DNR is off trying to control our Recreational Experiences. Like we are all stupid and cannot figure it out on our own. All this money going at Pathways, Recreational control, financing Non profit groups, all need to come to a dead stop, before we have nothing left to enjoy. I am not exaggerating at all here. It is that bad and needs immediate help and to be changed, right away. Tell this to Ron Olson the head of the Recreation Division at the DNR. Or Jim Radabaugh, the head of all Trails in our state. These two are most responsible for what is taking place..Get rid o0f them, and the blood sucking Non Profit groups, feeding off of the DNR and our money, will fail and go away, because they cannot survive without the help from Parks & Recreation at OUR DNR. Isn’t the bottom line, a beautiful and healthy environment we all want? 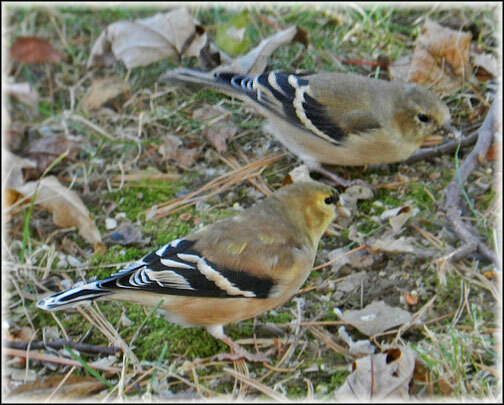 If You HIKE…..do you not want to see Critters and flourishing habitats? If You BIKE…….do you not want to see healthy environments and flourishing habitats? 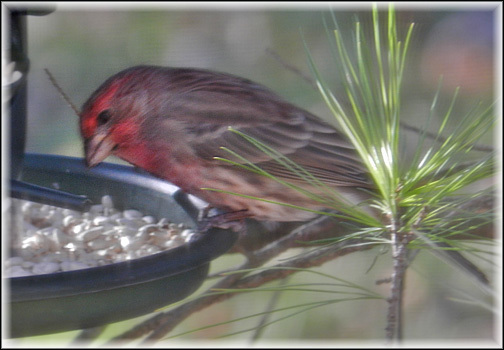 If you Hunt, Bird, geocache, etc…..do you not want to have a healthy eco system and habitats to travel through and enjoy? 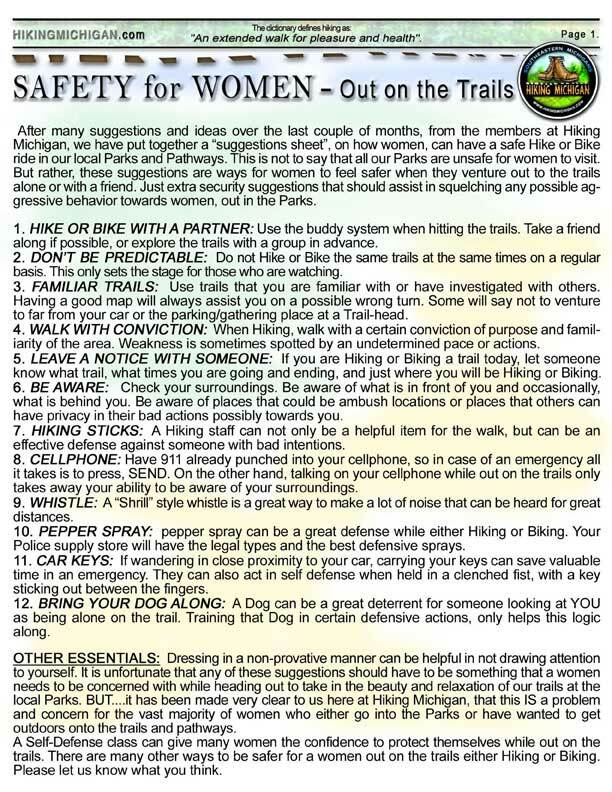 If we need such control of our personal Outdoor Recreational experiences, lets create a separate State Agency dedicated to the Recreational FUN of the people of Michigan. This way the DNR (Department of Natural Resources) can get back to doing what they used to do and be responsible for what they used to nurture and take care in OUR State. 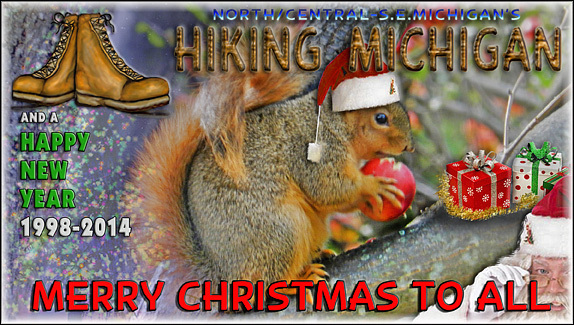 A Healthy Natural Resources based ecosystem and beautiful Habitats through out the entire State of Michigan. Please make the choice. 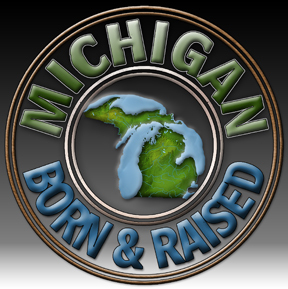 demand the proper actions, and not just ignore the bad behaviour of the Agency we have entrusted with our Lands & Waterways in OUR State of Michigan. Our DNR and local Parks & Recreation. 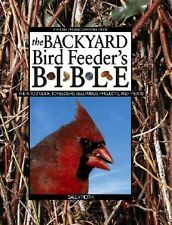 Since the weather has finally broken and everything is blooming, Birds singing and critters running around everywhere, it is time to pull out the ID Books and Sheets. Just wanted to remind everyone we have many Free ID sheets right here on the HM Blog, and even more on the website DOWNLOADS PAGE. 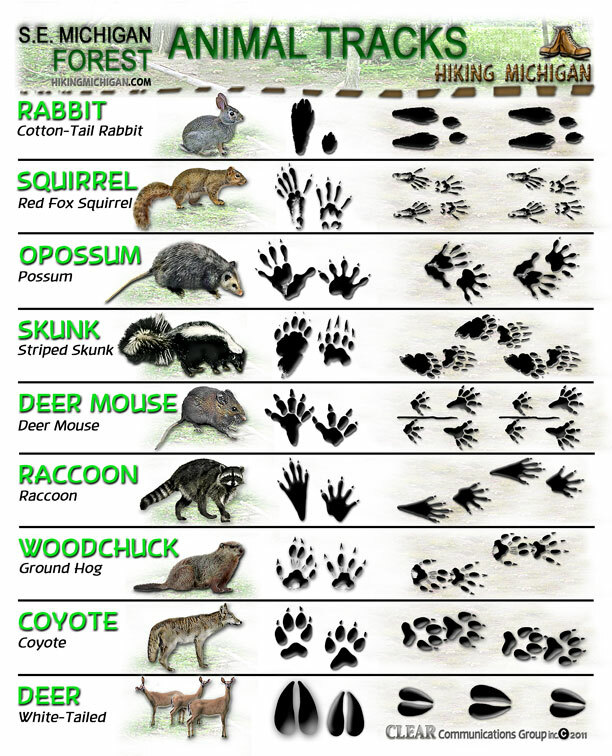 In the column to the right, there are Links to the most popular ID sheets that get downloaded here, starting with our Animal Tracks sheets. 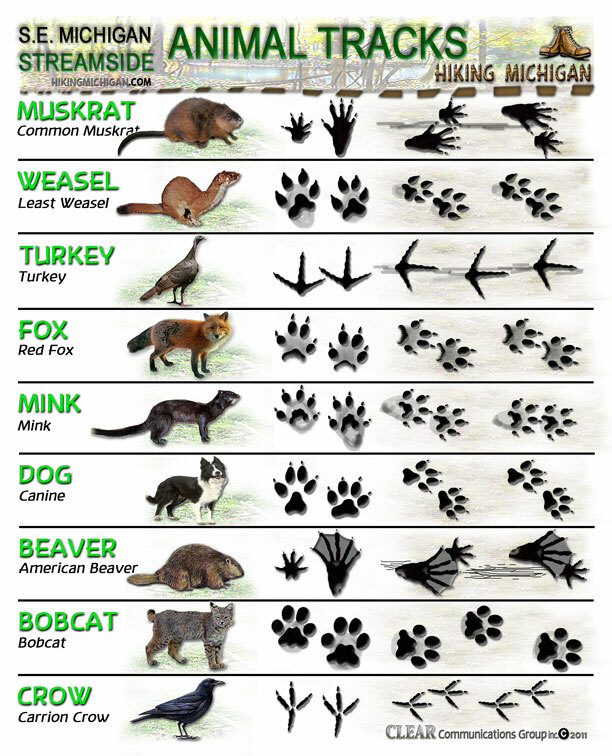 DOWNLOAD THE ANIMAL TRACKS SHEETS HERE. A popular ID sheet is our Raptors sheet. Since many times the best view of flying Raptors is a silhouettes, the sheets have those silhouettes IDed. 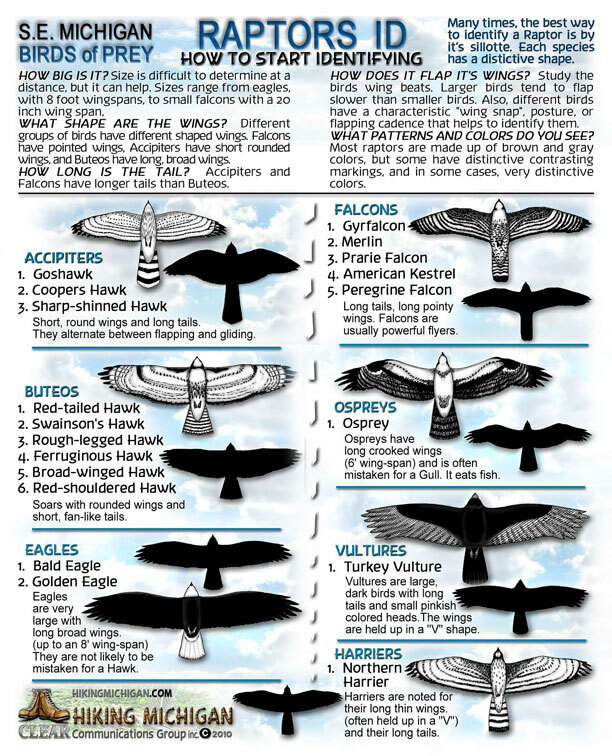 Most of the various kinds of Raptors in Southeastern Michigan are listed here. 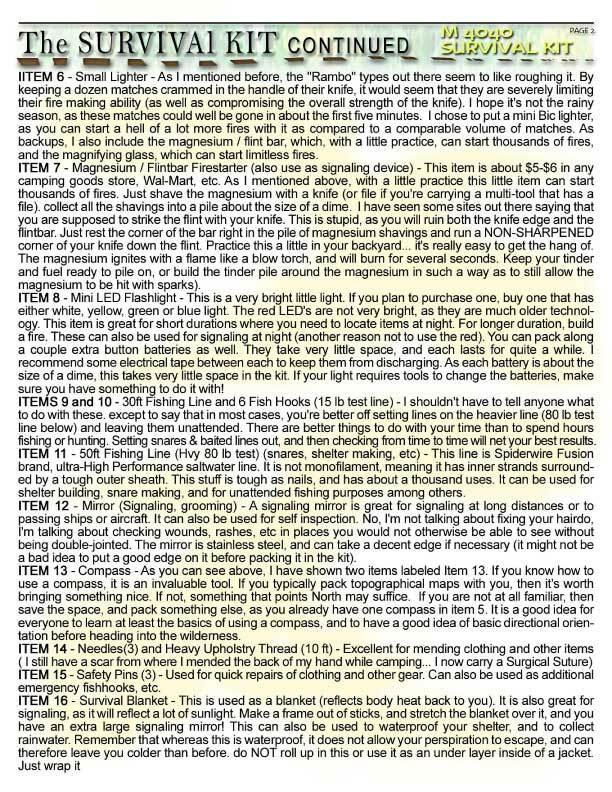 DOWNLOAD THE RAPTORS ID SHEET HERE. There are also some helpful guides in the downloads list and website page as well. 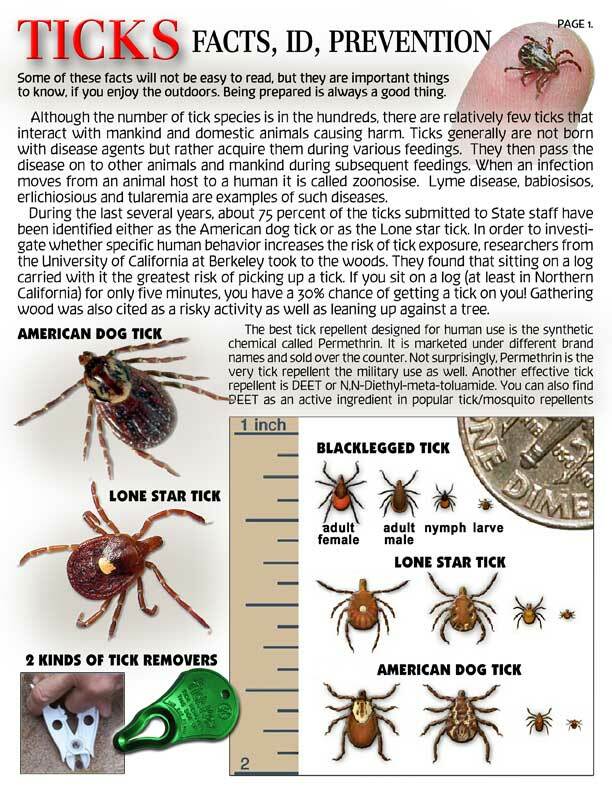 TICKS have become a huge problem in S.E. 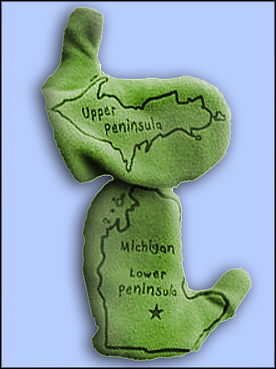 Michigan the last few years. 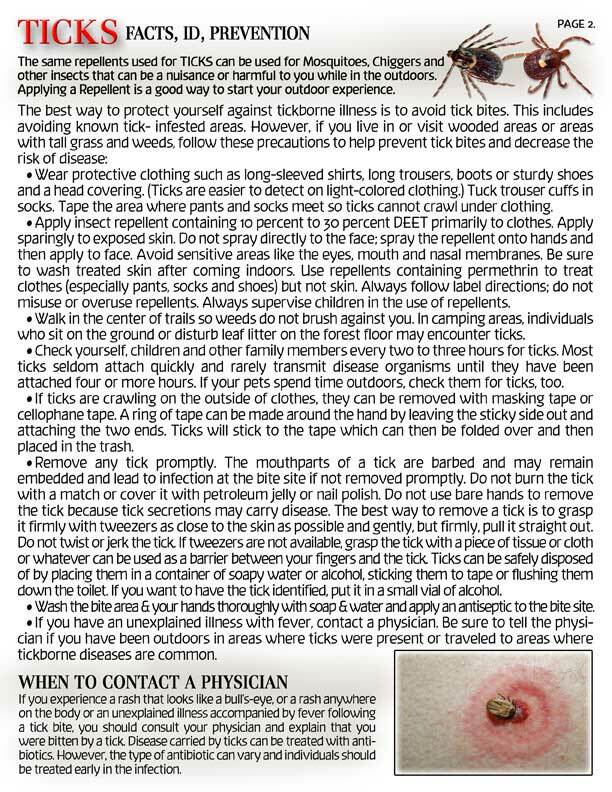 So we put together an ID sheet that also deals with what to do if you believe you have picked up a Tick. 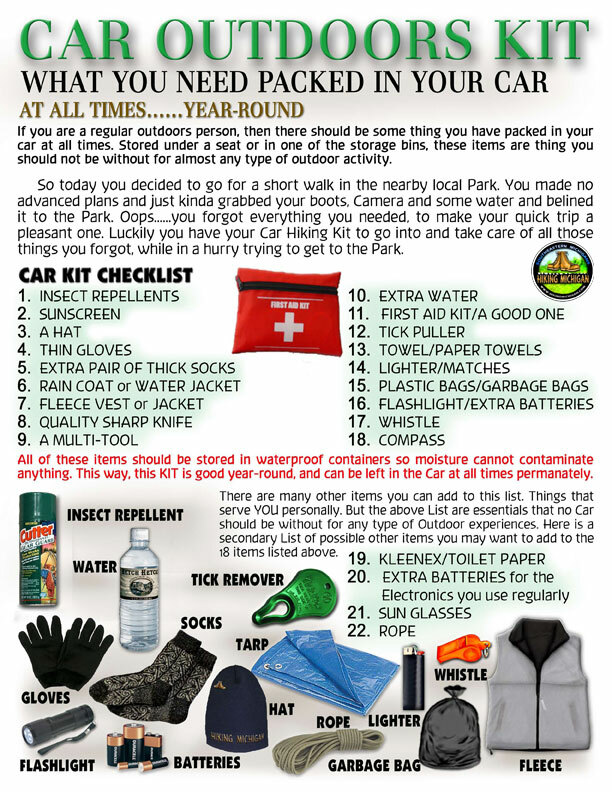 DOWNLOAD THE TICKS GUIDE HERE. 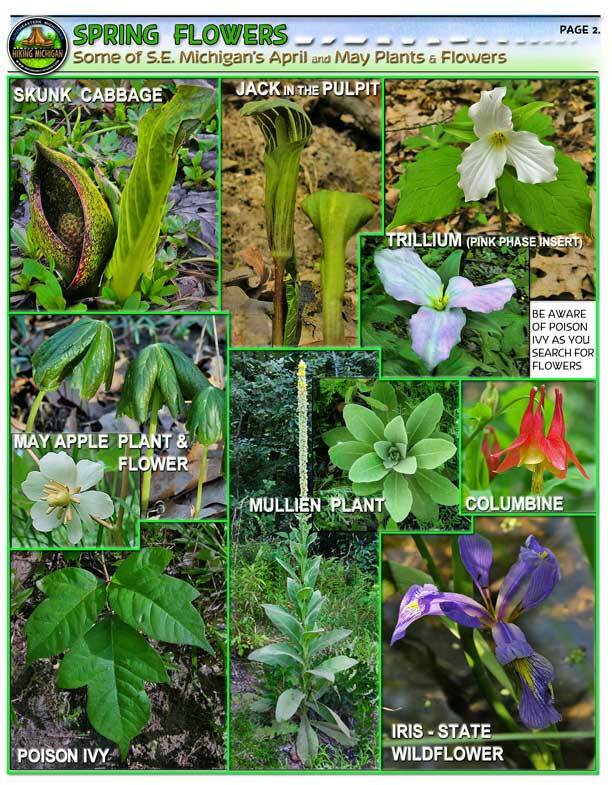 Since many of the Spring Flowers are finally sprouting everywhere, and our next Group Hike will be a Wild Flowers Hike, here is our early Spring Flowers ID sheets. 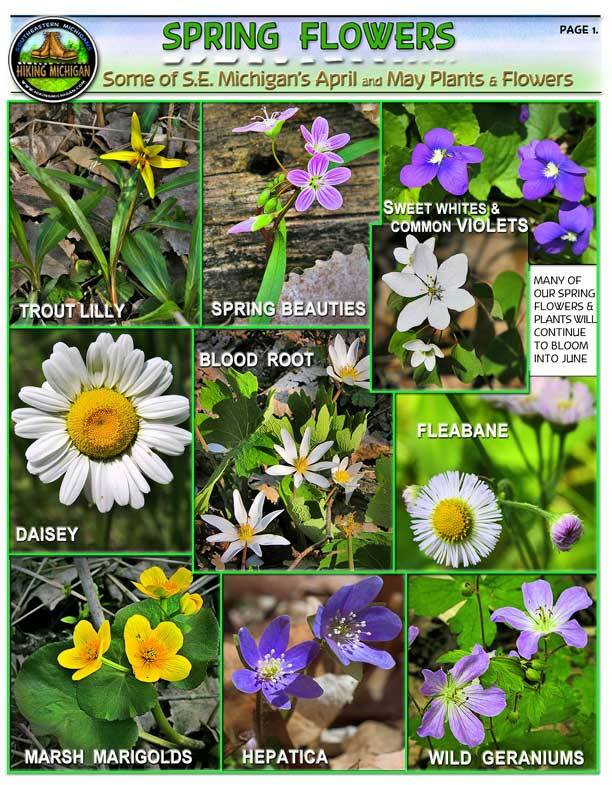 We are doing a second version of this ID sheet with Flowers that take hold after those early Spring flowers go away. Many of the early Spring flowers, only bloom for a short period of time before they are replaced by the more permanent, longer lasting Flowers. (whatever that means) 🙂 You can DOWNLOAD THE EARLY SPRING FLOWERS ID SHEETS HERE. The best place to go and see all the various ID sheets and Guides we have to Download is on the web sites DOWNLOADS PAGE. Click the Link to get there. 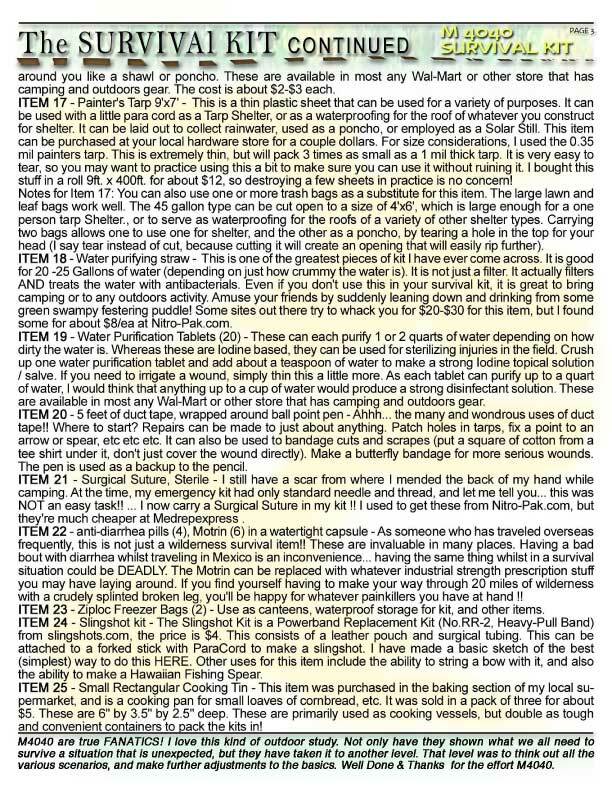 We hope these sheets help you enjoy the Outdoors a little bit more and keeps you all prepared for what you may encounter while exploring Michigan’s Forests and Parks. If you have any suggestions for us to put together an ID sheet or Guide sheet, please let us know. 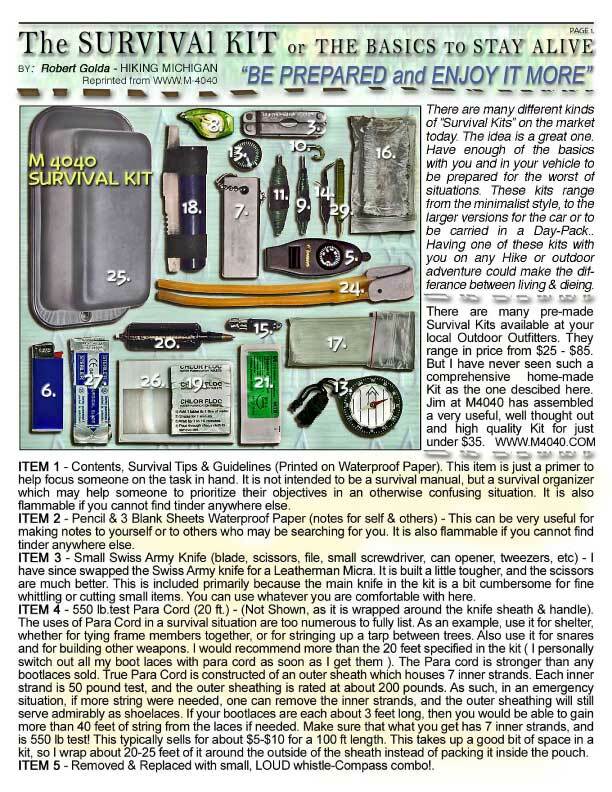 Being Prepared, the old Boy Scout motto, is always a good thing.